Aliens in search of some killer smack land on the rooftop penthouse of Margaret (Anne Carlisle), a fashion model who lives with her drug-dealer girlfriend who also performs music with a “rhythm box.” After one particularly harrowing encounter, Margaret soon realizes that she can kill people with her orgasms. Meanwhile, a German scientist is tracking the aliens and tries to warn Margaret and her model nemesis Jimmy (also played by Carlisle) that they are both in imminent danger. If all that sounds deeply strange, it’s because it is. Liquid Sky quickly became a cult phenomenon when it finally hit cinemas in 1983, almost a year after it’s premiere at the Montreal World Film Festival. What followed is a nearly four-year run at cinemas in New York, Boston, and Washington D.C., and it’s easy to see why so many were so captivated with it. The colors jump off the screen, the costumes are fierce, and the music pulses with sinister intentions. Liquid Sky is a candy-colored, psychedelic trip documenting a New York City that doesn’t exist anymore. Most fans first experienced it on a crappy VHS tape. The Boston Underground Film Festival is set to have an ultra-rare screening of this cult classic in glorious 35mm. Ahead of the screening, we had the opportunity to speak with co-writer and director Slava Tsukerman about the film. 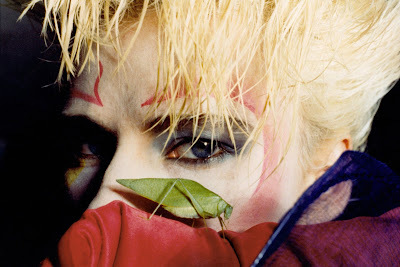 TMS: Both before and after Liquid Sky you have primarily been a director of documentaries. ST: Both in Russia and in the USA I was shooting all kinds of films. In the USA I shot two movies: Poor Liza and Perestroika. TMS: How did your documentary work inform the style with which Liquid Sky was made? ST: It’s not connected. There is one thing which is probably common to all of my films, I’m really never following a specific genre. I’m mixing genres. Like in Russia, I mostly made films which were probably officially called documentaries, but some of them were fiction films and contained special effects, animations, and other elements of different genres. TMS: Would you say that Liquid Sky was a departure from the type of work that you had been previously doing? ST: Liquid Sky was in a sense the same, it was a mix of different genres. For example, the Berlin Film Festival had a catalogue divided by genres, films were divided by genres. Liquid Sky was put out of the classification, they put it as a separate genre. TMS: You cite Andy Warhol as one stylistic influence on the film, but were you likewise influenced by Russian science fiction films of the previous decade, like Tarkovsky’s Solaris and Stalker? ST: I don’t know, maybe all of the films which we see somehow influenced me. But, I don’t think that Tarkovsky specifically influenced me in some way, he’s not one of my favorite directors.It may sound funny, but if I were to find influence from Russian films it’s more like the musicals of the ‘40’s famous director Grigori Alexsandrov, who was one time working with Sergei Eisenstein before he started making famous Russian music comedies. The film Spring had one actress playing two roles and it really impressed me very much, along with the other special effects and ideas of this film. But, I cannot say that there is really some specific influence, it’s very difficult to say. The directors most loved by me were Eisenstein, Federico Fellini, and in America Stanley Kubrick. Kubrick is an obvious ideological influence, because he always has ambiguous endings and contradictional ideas. And he also thinks that music and image are very important in film. TMS: The film certainly has a striking mix of American and European sensibilities, particularly in how much more esoteric and art-house it is compared to most American sci-fi of the same period. How much of this was influenced by your experiences with film around the world, and how much grew from the New York City underground culture in which you made the film? ST: I cannot divide those things. Actually, the choice of New York as a place of living and working was made by me mostly because New York is a completely international city. I think it was and still is the center of international world culture. Speaking of my influences, like I started from Eisenstein and Alexsandrov in Russia, the directors who were more international and influenced by world culture. 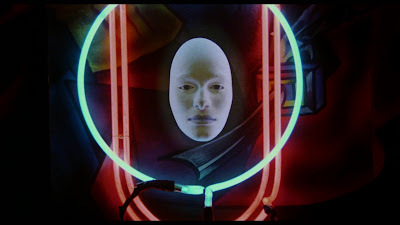 TMS: When Liquid Sky was recently re-released on blu-ray, did anything surprise you about how the film was greeted by a new audience, or how the intervening 35 years has changed how people see the film? ST: I don’t know. We have screenings for the film all of the time since it was originally released in different places, including Russian film festivals and far away regions. The reaction always was the same all over the world. Over the years, I think the reaction has become better and stronger. Lately, the young audiences laugh at the right places, they get excited at the right places. So, I think they understand the film better the first audiences 35 years ago. TMS: Many of the film’s central themes remain extremely relevant today in a way that continues to resonate with modern, younger audiences. Particularly the themes of the fluidity of sexual orientation and gender, and the defying of conventional labels, resonates strongly in our world in which more and more people are breaking down those labels within the mainstream. The film’s attitudes towards sexuality and gender feel revolutionary and ahead of their time, but when you were making the film, did this feel radical, or was it just a natural part of the world and the subculture in which it was made? How did these themes evolve? ST: I don’t know. Me and my wife made a friendship with Anne Carlisle and other representatives of the New Wave community in New York immediately, and our New Wave friends never saw us as people from a different world. Even when I was a very young boy my friends jokingly called me a feminist and a lesbian, so I think for me it was natural. TMS: Similarly, in this era of Me Too and Time’s Up, Liquid Sky’s powerful, complex, and sometimes frightening portrayal of sexual and emotional abuse hits harder than ever. How did those themes evolve, and how do you feel about how the film’s re-release engages with the modern conversation about these issues (or perhaps, with how the modern conversation has come back around to the issues raised by the film)? ST: Anne and I started writing the Liquid Sky 2 script two years ago before all of these new political developments in the world, and it’s completely about and against abuse. Yes, again it’s all of the things that influenced me, then the idea of making Liquid Sky came to my mind. A couple of things were in my mind, particularly the song Pirate Jenny from Bertolt Brecht’s The Threepenny opera. It’s a song about a woman killing a man who abused her, I always loved this song and thought it was one of the most important plays. Another, when I was twenty years old I was in love with a girl who was very beautiful and abused a lot. She was talking about this desire to kill this man, and it impressed me so much that it had always remained in my mind. What I’m saying again is that there were many influences throughout my entire life. TMS: How did your collaboration with Anne Carlisle shape the film, both in regards to those themes we discussed earlier, and the movie in general? ST: Yes, very much. Anne is a very talented writer, among other things, so it was always easier. 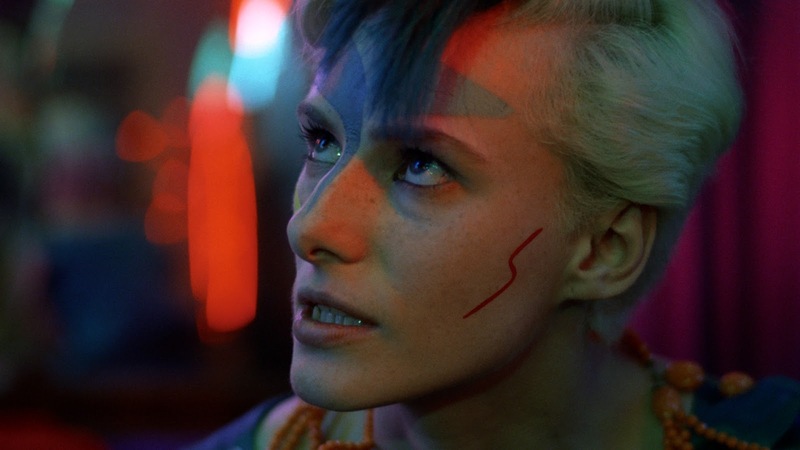 But, Liquid Sky is a special case, because she was a real hero of the film. The main character was built on her very much. It made directing easy as well, because she knew how to play herself. TMS: So you would say that the character Margaret is autobiographical of her? ST: Yes, very much. Actually, all of the characters are. 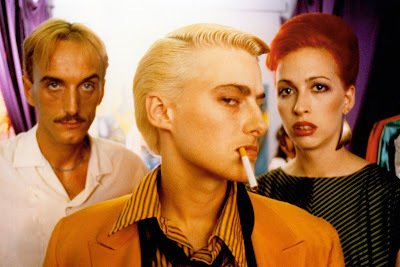 One of my first ideas when writing Liquid Sky was to use all the actors who were our friends, and to use their real characters in the script. So we really did it. In one case, there was a German guy playing a German scientist and we didn’t know how to write his specific Germanized lines right, so we were just provoking him in the situations in the film in order to get the right lines from him. TMS: In recent years you have said that a sequel to Liquid Sky is in the works. What is the status of that film – is it still happening, and will Anne Carlisle be returning as Margaret? ST: Yes, we are still planning it, but actually we didn’t start raising money yet. TMS: Is there an actual script completed? ST: Almost completed, I don’t really want to complete it before I know what kind of budget it will be because it would influence some of the elements of the film. TMS: Will it once again be set in New York? ST: Yes, it is a New York film. 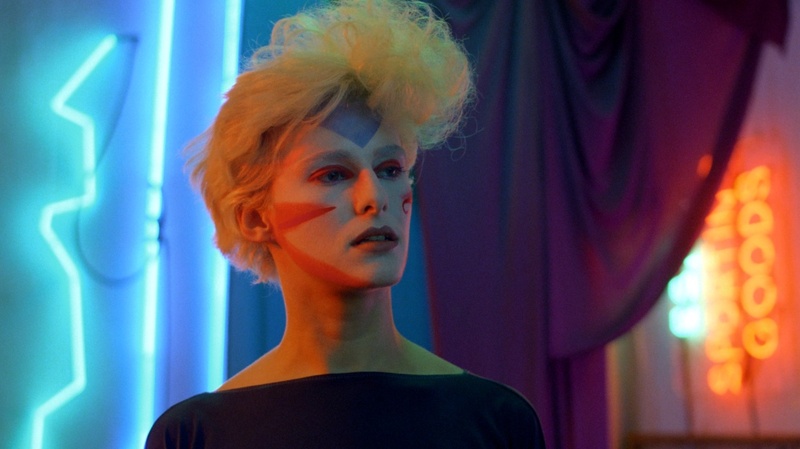 Liquid Sky is such a New York story that I don’t think that it could happen in any other place. TMS: New York City has changed so much since 1982 – how will the changes in that city affect the film? ST: Yes, absolutely. That is one of the reasons why Liquid Sky 2 hasn’t been made yet over the previous years. Every time that I started working on it, I said that I cannot do it because the world has changed, and New York has changed and it cannot be similar. And now something has happened, the changes are really different yet there are clothes and styles that have returned or look similar. On the other hand, the changes that have happened exactly in the direction that is interesting for me as a filmmaker. So, finally the idea of how to make this movie came to my mind. TMS: Why did you decide to return to the world of the film now, after 35 years? ST: Well, it’s not me that’s returning since I’m the filmmaker, it’s about Margaret returning back to New York. TMS: The first film was so personal for all involved that I can only assume that you would only return to that world if you had something equally personal and new to say – could you tell us what that is? ST: Well, it wasn’t completely personal to me at the time, in the sense of the story. Now, it’s much more personal to me. 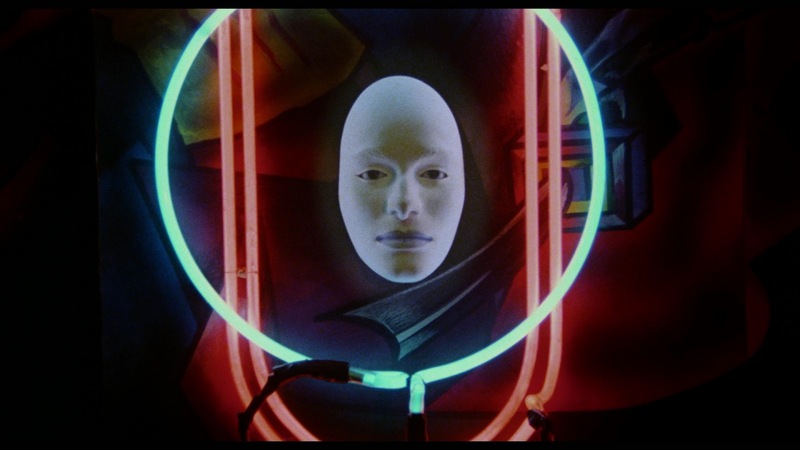 TMS: Liquid Sky is being presented at BUFF, is there any films or people that you’re looking forward to seeing or people? ST: I’m happy to meet everyone, nobody specifically. You can read our review of the Blu-ray release here.